Irish violist Ruth Gibson manages a busy and varied career of solo and chamber work. In 2009, she graduated with First class honours from the Royal Northern College of Music and completed her Masters in Performance with Lawrence Power at the Royal College of Music in London 2011. Ruth has given solo recitals at St John Smith Square and regularly performs at St Lawrence Jewry Festival as an Allcard Winner of the Worshipful Company of Musicians. In 2011, she was soloist with Bournemouth Symphony and gave a broadcast performance on BBC4 of Holst’s Lyric Movement for Viola with Orchestra. As a founding member of the Finzi Quartet, she won the 2010 Royal Over-Seas League Competition and gave regular performances at Wigmore Hall, Queen Elizabeth Hall, Purcell Room, het Concertgebouw in Amsterdam and the Auditorio Sony in Madrid as well as live performances on BBC Radio 3. She has collaborated with Barry Douglas, Erika Raum, Andras Diaz, Michel Lethiec and Paul Neubauer, Alasdair Beatson, Philippe Graffin and Amy Norrington, as well as the Barbirolli and Benyounes String Quartets at Bridgewater Hall and Wigmore Hall. Festival performances this year include Wye Valley, Clandeboye, Lorn Live, RNCM Beethoven Festival, Glastonbury, the BBC Proms and the London Jazz Festival with her jazz sextet Chambr. Ruth has toured South America, Russia, Finland and Mexico as Principal Viola with Camerata Ireland, and regularly plays with Aurora Orchestra and the Scottish Chamber Orchestra. 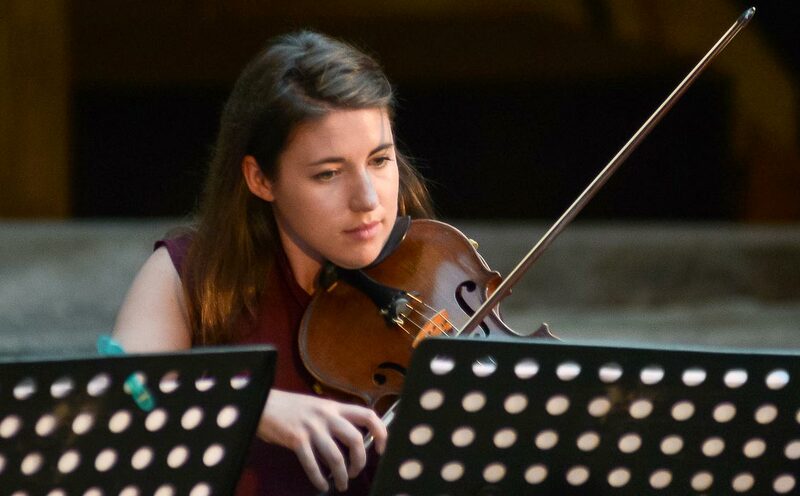 Since 2010, Ruth has been fellow in Chamber Music and Viola at the Royal Northern College of Music. As founder and artistic director of the String Quartet Collective, Ruth began this Chamber Music project at the Royal College of Music from September 2013.